Enter our competition to be in with a chance of winning free tickets to this special event in September. 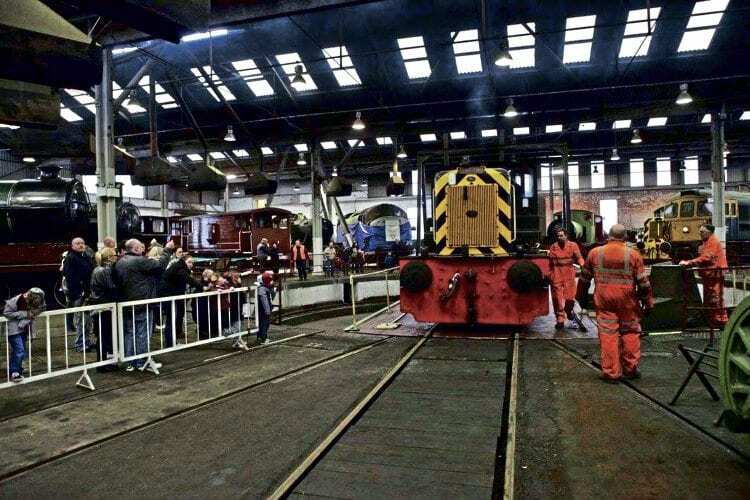 NEXT month sees the reopening of one of Britain’s best railway venues when Barrow Hill Roundhouse in Derbyshire throws open its doors after a £1.2 million restoration. With steam locos Nos. 60103 Flying Scotsman and 60163 Tornado as star attractions, plus expected visiting locos from DRS, Colas, GBRf and DB Cargo, there will be no shortage of attractions for rail enthusiasts of all ages at the event on September 22-24 – and you can be there for what promises to be a very special few days. Rail Express, together with its sister titles The Railway Magazine and Heritage Railway, is media partner for this superb event, and we have four pairs of tickets which must be won by our readers. The winners will be able to see all the attractions, plus ride behind the two icons of steam. The official reopening at the unique Midland Railway roundhouse will be performed by Sir Peter Luff, chairman of the National Heritage Memorial Fund, on Thursday, September 21, who will view the comprehensive restoration and officially open the new entrance building.